Focusrite interfaces are perfect partners for Pro Tools, so Scarlett 6i6 comes with Pro Tools | First - Focusrite Creative Pack, as well as Ableton Live Lite recording software and a suite of software and samples, so you can start recording straight away. As you’d expect, it works with all major DAWs on Mac and PC. 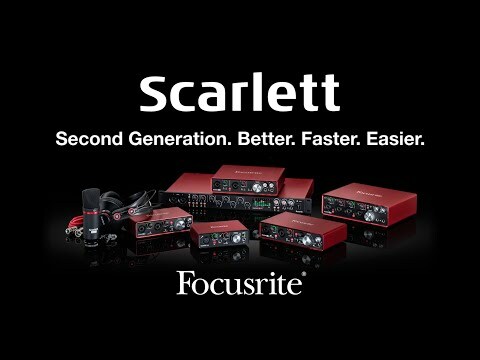 Scarlett 6i6 works with all major DAWs on Mac and PC, and comes with Focusrite Control: our brand new software mixer designed for easily configuring your monitoring and routing setups. Simple and intuitive to use, it gives you a traditional mixer workflow and immediate access to internal hardware functions.